CBC -- A Manitoba hog producer has pleaded guilty to several charges of animal cruelty after a gruesome discovery at his farm last summer. Martin Grenier pleaded guilty in a Winnipeg court room on Thursday to charges under the province's Animal Care Act. 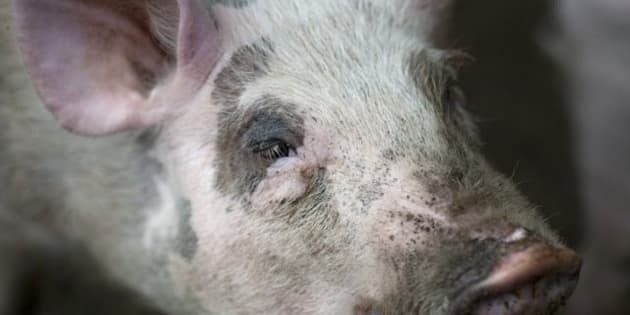 Grenier was arrested at his farm near Notre-Dame-de-Lourdes in the Rural Municipality of Lorne last summer when police found hundreds of dead pigs and carcasses and more than 100 animals that had to be euthanized. Crown and defence lawyers on Thursday jointly recommended a fine approaching $60,000, almost double the previous high in a Manitoba animal cruelty case. The judge will rule on the joint recommendation on Friday. The Crown wants the sentence to include a provision barring Grenier from ever having care and control of animals again.